As much as most of us know the difference between good and bad when it comes to products, services and food, there is something we all know as "the threshold". Yes, there is a point where crappy becomes acceptable due to price and overall value. I'm still not convinced at those dollar store batteries and light bulbs tough... I think one would get more out of hand cranked flashlight. So despite the questionable sushi found at Samurai, the portion sizes still bring the people in as evidenced by the usual lineup out the door. As much as we would like to criticize the food quality, it does hit that threshold much like Anton's and Stepho's. With that in mind, I was not that picky about my eats as I was driving back from Richmond after an intense hockey game. Hence, I stopped by Samurai for some takeout. 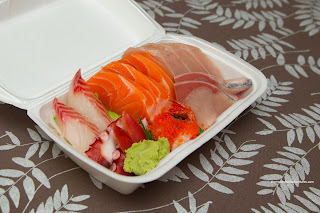 Trying to cut back the amount of rice that was inevitably going to grace the meal, I decided on an order of the Deluxe Assorted Sashimi. When I opened up the box, the slices of fish weren't as big as I expected. This was actually a great development in my opinion because bigger and thicker slices do not necessarily translate to good eating (think texture). You wouldn't want a thick piece of carpaccio right? So nothing was amiss and in fact, the Hamachi was quite good being buttery and fresh-tasting (as flash frozen can get). Now onto the rolls (which Samurai is more known for). I got both the BC Roll and Alaska Roll. 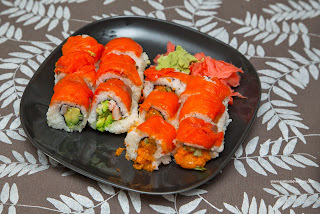 Unlike previous visits, I was pleasantly surprised that the layer of sushi rice wasn't overbearing. With that being said, the rice was not very good being soft and gummy with little flavour. 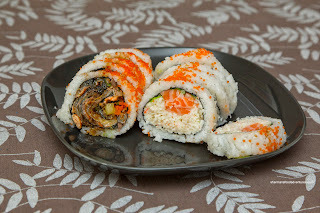 Sure, these rolls were large, but eating them was not very practical as they fell apart easily. The next set of rolls (SSSR & Golden Roll) featured smoked salmon on top (my daughter loves smoked salmon). Honestly, these had to of been some of the most poorly constructed rolls I've ever had. With an overabundance of rice and practically falling apart before I even touched them, these barely fit the criteria of value. 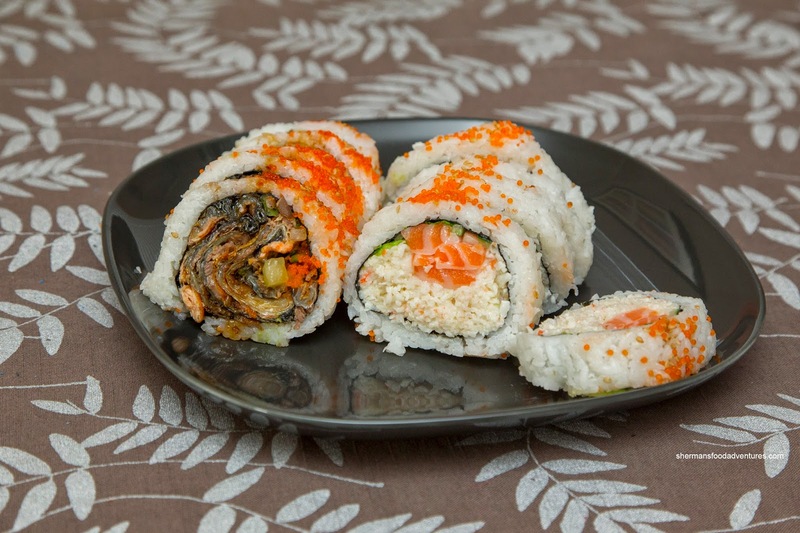 Sure, both rolls combined for less than $9.00, but if I didn't enjoy eating them, would it still be considered a good value? After this re-visit, I'm not really sure anymore. 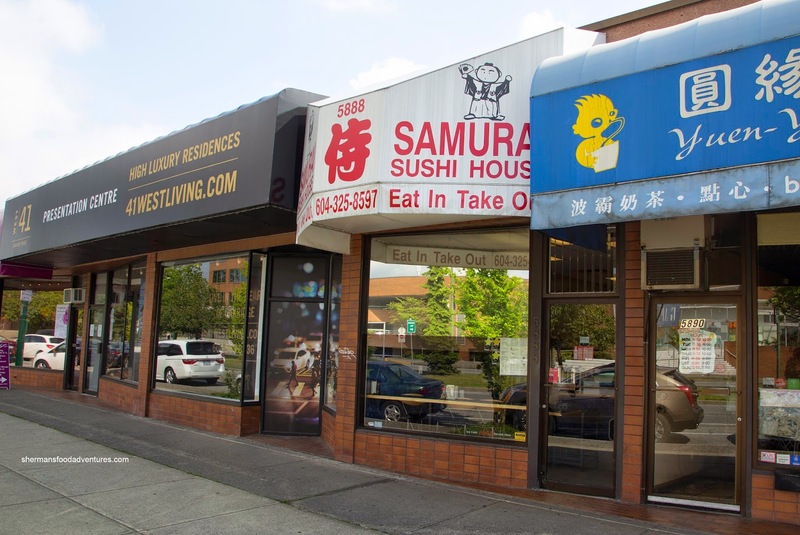 Admittedly that whole area of Oakridge/Riley Park/Kensington is a dearth for sushi restos, let alone good ones. Your closest bets may have been Applause (Oak/57) and Sushi Mura (Oak/49).